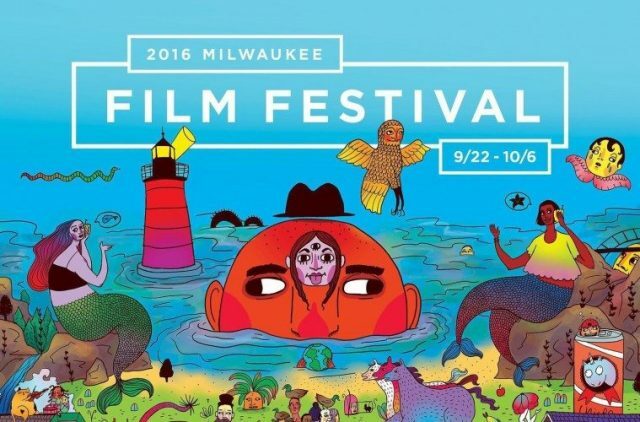 Another whimsical Milwaukee Film Festival strengthens our love of cinema and promotes local talent. When I was in high school I always made it a point to go to the UWM Film senior screenings. In the early 2000s those pilgrimages to the UWM Union Cinema were—for me—the apex of Milwaukee filmmaking. Before I ever left the country I traveled the world through film. Inside the lavish confines of the Oriental Theatre I was transported to far flung continents. Cinema helped me empathize with people of different cultures and languages. My senior year of high school two friends took over the Black History Program and asked me to make a video tying the past to the present. It screened in front of our entire student body and sparked a dialogue about institutional racism that continued for weeks in the classrooms and hallways of Rufus King. That was cool, but what if I had had the opportunity to present the video to an audience outside of my teachers and peers? 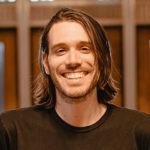 In 2002, former UWM Film student Jim Rygiel won the Oscar for his special effects work on Lord of the Rings: The Fellowship of the Ring, further vaunting the UWM Film School. Also in 2002, the Milwaukee International Film Festival began. It took a few years to find its footing and then a series of financial and boardroom troubles led to its demise in 2008. Members of the team behind the MIFF regrouped and formed a new entity—Milwaukee Film—that would produce the first Milwaukee Film Festival in 2009. Building on the model of the MIFF, for eight years the MFF has brought the work of UWM Film students, young filmmakers, local and regional filmmakers, plus independent and studio films from all over the world to a larger audience for two weeks each Autumn. As I wrote a few weeks back, Milwaukee is in the midst of a music video renaissance. Local filmmakers have used a variety of visual styles to animate the work of our prolific music scene. In my article I listed some of the best videos that didn’t make the cut for the second Milwaukee Music Video Show. 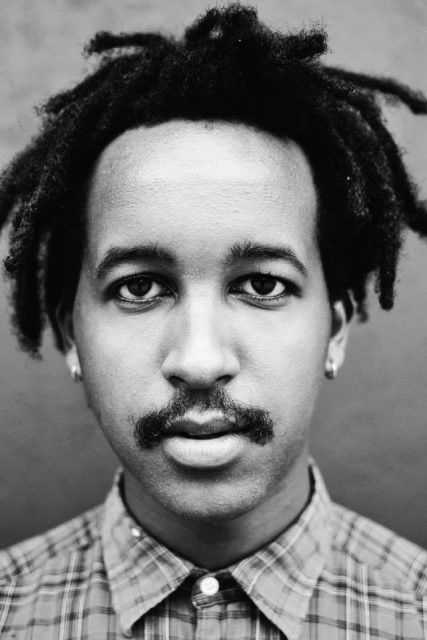 Attending this program proved just how vital our local music video makers have become. Menomonee Falls-native Richard Riehle of Office Space fame appears in Trapper Schoepp’s video for “Settlin’ or Sleepin’ Around.” During the Q & A Schoepp told the crowd how he landed this Hollywood actor—by following him into Comet Cafe one afternoon and asking him politely. Canopies “Getting Older” utilized infrared structured light imaging. To achieve this technique the filmmakers actually hacked an Xbox Kinect camera and used open-source hardware and custom software. The first time I saw the video for “Coplights” by Group of the Altos it was an emotional experience. The texture and imagery are both beautiful and bleak, perfectly matching the song. All dozen-plus members of the group appear in the video. Seeing “Coplights” on the big screen at the Oriental was ten times as emotional, considering the band is currently on hiatus. Whether GOTA returns or not, the video stands as a testament to one of the greatest ensembles in Milwaukee music history. "Coplights" by Group of the Altos from Sean Williamson on Vimeo. Considering my initial context for Milwaukee filmmaking was the (typically) experimental shorts by UWM film students, it was fitting that the first entry in the Milwaukee Show I was a “journey through a microbial landscape” using time-lapse and macro filming techniques (Synthase) by a senior film student at UWM. The arresting sound editing in Twin Sister (Jimagua) took me back to the Centerpiece screening of Jimi: All is By My Side two years ago at the MFF. Milwaukee musician Amanda Huff (Selfish Skin, ex-Dream Attics) provided the score for Needlepoint. During the Q & A we learned that Fox in the Fan—a creepy short inspired by radio waves being transmitted through everyday objects—is being turned into a feature. Set against the urban jungle of Los Angeles, Shangri-LA is a quirky comedy about vagabonds chasing the Hollywood dream that features a guest appearance by none other than Mark Borchardt (American Movie), which will continue as a web series. My most anticipated short film in the Milwaukee Show I was Saint Paul from director Xavier Ruffin, which my colleague Tarik Moody wrote about. Ruffin—a Milwaukee native—made a name for himself directing music videos for Klassik, Dana Coppafeel & SPEAK Easy, and others. He currently splits time between his hometown and Los Angeles, and may or may not be working on a certain popular new cable show. Saint Paul is a poignant, gripping look at a fatal car accident and shooting from 2015 that features the music of local singer Jonathan Frost—who lives just blocks from the scene of the tragedy. Saint Paul trailer from Xavier Ruffin on Vimeo. While Saint Paul was a heartbreaking vignette about a solitary act of crime in our city, Milwaukee 53206: A Community Serves Time delivered a feature length dose of harsh reality. The film centers on the lives of three residents of 53206—Milwaukee’s poorest area and the most incarcerated zip code in America—where 62% of male residents have served prison time by the age of 34. MILWAUKEE 53206 - Trailer from MILWAUKEE 53206 on Vimeo. Milwaukee 53206 had its world premiere at the Oriental Theater back in June. It was a hot ticket, as was the sold-out MFF screening. If only we were as eager to address the complex socio-economic and political issues surrounding mass incarceration that NYC-based director Kevin McQuirter’s film explores. During the Q & A the central character of the film—Beverly Walker—gave an impassioned indictment of the prison industrial complex that has profited off her husband Byron. The love story between Beverly and Byron portrayed in the film is heartbreakingly beautiful and tragic. Following the final scene—when Beverly is brought to tears upon hearing the news that Byron has once again been denied parole—local hip-hop artist WebsterX’s signature song “Doomsday” plays over the closing narration and credits, enhancing the emotional intensity of the moment. “McQuirter’s people reached out to my people and as soon as my manager Nick told me about the opportunity I jumped at it,” says Sam Ahmed (WebsterX). Ahmed and fellow Freespace co-founder Vince Gaa attended the MFF screening of 53206. While Milwaukee 53206 is a film with a Milwaukee subject by an out-of-town director, Happy: A Small Film With a Big Smile centers on an out-of-town subject made by a Milwaukee director. 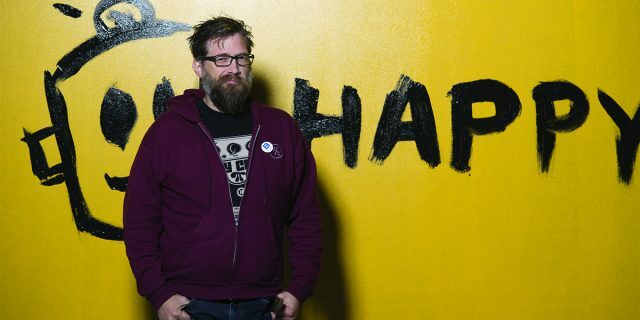 The documentary is a portrait of Leonard “Porkchop” Zimmerman—an Augusta, Georgia-based visual artist—who channels his grief from the passing of his partner into his art. It is a wonderfully inspirational film about navigating the storm of depression and helping others embrace joy. Christopher Darling is an all-local production about a self-destructive mid-level rocker and his exploits on the road. While it was fun to see local musicians John Griffin (Bum Illeum) and Wes Tank on-screen, the film falls flat, lacking any sort of substance or story arch. Like Serial Daters Anonymous from MFF 2014, it is another mediocre local film featuring actor John Glowacki. There appears to be a disparity between the quality of short films/music videos and features put out by local filmmakers. One of my favorite parts of the MFF is the Milwaukee Youth Show. This year’s program featured a variety of styles and subjects. The editing of Millenial, the mix of animation, title sequences and live action in Inner, the poetry of Insomniac, the humor of The Game of Life, the inventiveness and clever message of Mid-Day of the Living Dead, the importance of the PSAs, the playful stop-motion of Silent Folds, the stunning visuals of Colors, the emotional resonance of Photograph, the professional eye of A Work in Progress – The Breakfast Composer (a mini-doc about local rapper/producer Mic Kellogg), the hilarity of Dark Side Waffles and Baseball Tips, and the ingenuity and ambition of Rocket Kin all point to a bright future for Milwaukee-area filmmaking. During the Q & A of The Milwaukee Youth Show we learned that Cecelia Hubbard—director of Insomniac—is part of a group organizing a film festival at Pius High School. What initiative! We also learned that Milwaukee Film received 64 submissions for the Youth Show this year, a 200% increase from last year. In addition to being a writer, I am also a substitute teacher. Earlier last week while at Ronald Reagan High School I spotted MFF Artistic and Executive Director Jonathan Jackson walking the halls of Reagan. He was visiting an IB Film class with Amy Storkel—producer of The Dean Scream—as part of the Reel Talks program. These youth-focused programs—plus the numerous education screenings that take place during the MFF—are fostering a healthy environment for future generations of cinema lovers, filmmakers and storytellers. Now that MFF 2016 is in the books, the work begins again for aspiring festival participants. You have until June of 2017 to submit. For us film lovers, the Oriental, Downer, Times and Avalon theaters will continue to screen great cinema year-round. This year’s festival audience grew 8% over the previous year for a total of 76,899. Becoming a member of Milwaukee Film can also help support the excellent work they do in our city and get you into monthly member screenings for free. Not to mention, the 31st Milwaukee LGBT Film/Video Festival begins this week! Most of those films will be held at the UWM Union Cinema. Speaking of which, I can’t forget about the UWM senior film student screenings (December 17), where my Milwaukee film journey began.